Suzuki SX4. Driver Position Fuel Type Body Type Body Colour Donor Vehicle. Donor Vehicle Body Panels. 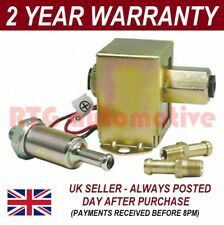 Fuel Pump fits SUZUKI SX4 1.5 In tank 06 to 15 M15A Bosch. SUZUKI SX4 (EY, GY) 1.5 (RW 415) Hatchback Petrol 06/2006 07/2010 FWD 16 99 73. SUZUKI SX4 (EY, GY) 1.5 VVT (RW 415) Hatchback Petrol 07/2010 on FWD 16 112 82. (SUZUKI SX4 Fuel Pump 0000331605. Other Details: Mk 1 06-13. 1.6 Petrol. This item was removed from a 2007 vehicle. Jersey, Guernsey, Scilly Isles) as well as for the Scottish Highlands. Fuel Type Petrol. Driver Position Right-Hand. Year 2010. Vehicle Colour Bronze. 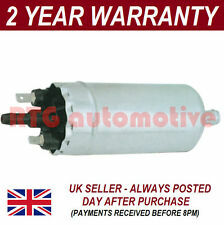 SUZUKI SX4 Fuel Pump Mk2 13 14 15 16 17. Make / ModelSUZUKI SX4. SX4 2013 -2017 Mk2. Part also fits. Item Details. 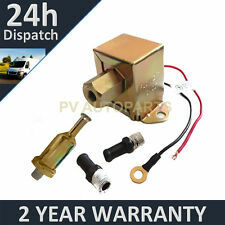 Fuel Parts Fuel Pump Feed Unit. Housing Colour: Yellow. Fitting Position: in fuel tank. The only way to be 100% sure that the part will fit your vehicle is to check the part number on your original unit matches one of the above. Part Number: LFP458 (Ref.Only). Model: SX4. FUEL FEED UNIT. 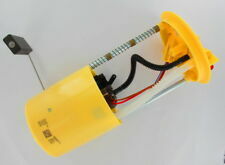 Product Type: FUEL FEED UNIT. Make: SUZUKI. Date Range: 2006-. O.E.M APPROVED. Multiple choices exist for:SUZUKI SX4 1.6 High Pressure Pump. FOR SUZUKI SX4. Fuel Type:Diesel. This is an original quality part manufactured by Bosch. PART CHOICE ALERT. GL 1.6 Petrol 5 Speed Manual. 1.6 Petrol - In good working order. This part was removed from a Right Hand Drive Vehicle. Compatibility is a guide only. Your item will need to be signed for. Part Number. Engine Code: 9HX (DV6ATED4); Engine Code: 9HV. Engine Code: 9HX (DV6ATED4); Engine Code: 9HV (DV6ATED4); Engine Code: 9HX. Engine Code: 9HX (DV6ATED4); Engine Code: 9HV (DV6ATED4); Model year from: 05/2008; Model year to: 03/2010; Fuel Mixture Formation: Common Rail (CR). PEUGEOT 407 (6D_) 1.6 HDi 110 Saloon Diesel 05/2004 on FWD 16 109 80. SUZUKI SX4 (EY, GY) 1.6 DDIS (RW 416D) Hatchback Diesel 04/2007 on FWD 16 90 66. CITROËN BERLINGO (B9) 1.6 HDi 110 MPV Diesel 04/2008 on FWD 16 109 80. PART NO: 0928400607. 1 x 0928400607 Fuel Pressure Regulator. BERLINGO 1.6 HDI 75 / 90 / 110 HP:75 / 90 / 109 2008-ON. BERLINGO (MF) 1.6 HDI 75 / 90 / 110 HP:75 / 90 / 109 2005-2008. C2 (JM_) 1.4 HDI HP:68 2003-2009. Fuel Parts Diesel Injector DI400 Replaces 1347283,1477146,1566431,3M5Q 9F593 HB. The introduction of emissions legislation into MOT tests during the following years, made Fuel Parts a popular supplier for this growing market. Lemark Fuel Pump Feed Unit. Housing Colour: Yellow. Fitting Position: in fuel tank. The only way to be 100% sure that the part will fit your vehicle is to check the part number on your original unit matches one of the above. SEDICI 2.0 MULTIJET. SX4 2.0 DDIS. Genuine Remanufactured Injection Pump. Orginal Part Numbers Warehouse Part Number. Kerr Nelson Fuel Pump Feed Unit. Housing Colour: Yellow. Fitting Position: in fuel tank. The only way to be 100% sure that the part will fit your vehicle is to check the part number on your original unit matches one of the above. Volvo Glass Parts. Volvo Body Parts. Volvo Interior. Volvo Electrical. Volvo Engine Bay. Volvo Lights. Volvo Wheels. Removed from a 2009 VOLVO C30 1560. 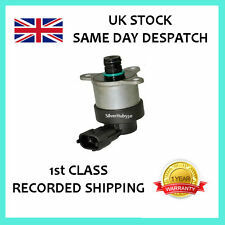 Genuine 1.9 JTD/CDTi non-commonrail 8-valve Fuel injection pump harness connector with wire tails for splicing if needed. Every single individual item I list has its own photographs taken, unedited, in the interest of authenticity.